At Invotra, we recognise that one of the best assets an organisation holds is its employees. 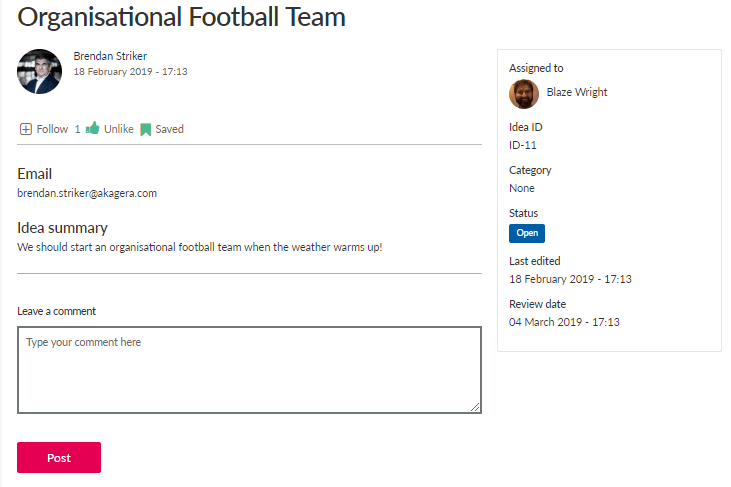 Therefore, we believe that giving your employees a voice and a specific platform to share their ideas is a huge benefit for any organisation; hence the Invotra Ideas application that was designed and tested for one of our major central government customers. The applications allows employees to submit their ideas for review via a completely customizable form. Following this, an ideas administrator (such as an intranet manager) can manage all submissions. The workflow process starts with a submitted idea, which is then reviewed by the administrator. Ideas are moderated, meaning that only ideas that are approved will be available to be viewed by everyone within the organisation. Those users can then ‘follow’ an idea if they want to keep updated on its progress. 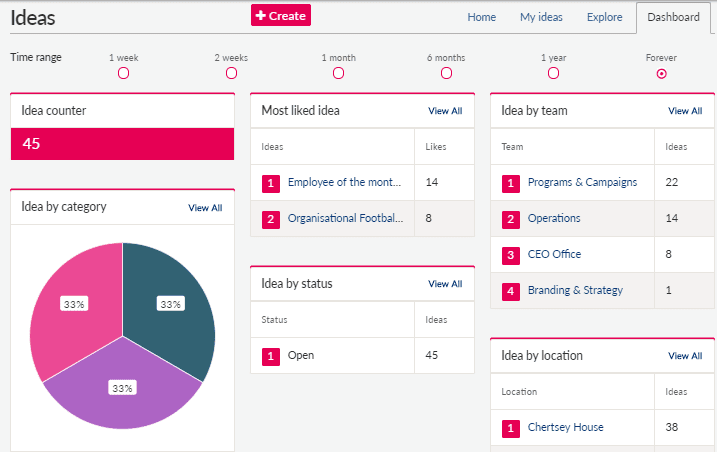 The ideas administrator can track the engagement and response that each idea receives via interactions such as comments, @mentioning and likes, making it easy to determine which ideas are popular and those that are not. You can then update the workflow to reflect the status of the idea, for example ‘in progress’. Ideas can then be assigned quickly and easily to the relevant people so that they can be transformed from an idea into a reality in the most efficient way. Once an idea has run its course, you can set the status to closed. 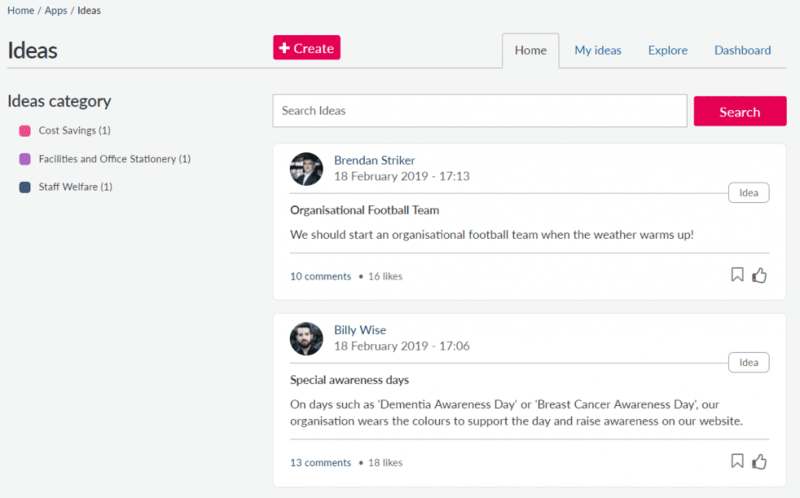 This is a fantastic, flexible and customizable tool for getting the best out of your employees, encouraging creativity, innovation and evolution whilst simultaneously increasing the engagement of your users within your intranet. Not only this, but Invotra Ideas is brilliant in terms of scalability. As your organisation grows, having an easily controllable and manageable application that can record potentially thousands of ideas in a secure manner is extremely valuable. Some organisations may even choose to incentivise their use of the Invotra Ideas application by offering rewards and praise for the best submissions. Invotra Ideas is available to all of our existing and new customers. To book a free demo, click here.